To reproduce they are dependant upon the use of a host. What we do not know is whether the alien species populate a 'homeworld' or whether they have been created by another species. We know that the alien is a parasite (not too unlike humanity) and they spread quickly as other hosts are found. To understand these xenomorphs a little more let us look at the varying cycles of their growth. Most likely a living organism of its own, the egg maintains the Facehugger within it over indefinite periods of time and with seemingly little nutrients. The eggs appear to have a leathery surface with four petals on top which open when a potential host enters its proximity. Emanating from the egg are several root-like tendrils which might explain how the egg can nourish and maintain the Facehugger inside. The egg itself feels the vibrations of things within striking distance and can sense heat. So when it detects its prey within striking distance the egg automatically opens and the Facehugger is then ready to pounce. It is believed that the alien embryo alerts the adults by releasing pheromones if it is in trouble or dying. Sensing the alert, the aliens come in swarms to investigate the problem. 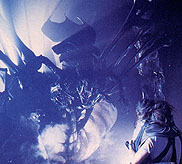 When a potential host is near by it is believed that a form of communication goes on between the Facehugger's in all the eggs to co-ordinate an attack. The eggs then change from a dormant state of near death to being active. The contents of the eggs can also be seen from the outside. This normally happens only when the egg has been dormant for a long time. As the egg becomes active, it becomes almost transparent to the naked eye. The Facehugger is the parasite that hibernates inside the egg. When a host comes in close proximity to the egg, it triggers the parasite within to come to life and launch itself out of the egg at the potential host. It attaches itself by wrapping its tail around the victim's neck, causing him or her to gasp for air. It then firmly grasps the victim's head with its eight spider-like digits and places an embryo within the host's chest cavity. 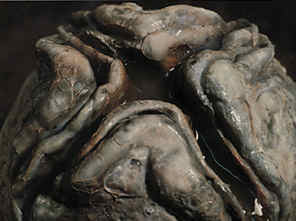 After the embryo is planted, the Facehugger leaves the host's body and dies. If the attack plan fails and it does not get the host like planned, it has very powerful legs that it uses to run around and chase its host. The Facehugger has surprising agility for a parasite and it will not stop until it either impregnates somebody or is killed trying. It has been recorded from the colony on the planet LV-426, that if the adult already makes the prey immobile. The Facehugger waits until the host is awake or conscious before giving off a hormone that commands the egg to open. Since the prey is not going anywhere the Facehugger does not jump on to its prey, but it slowly crawls out of the egg and towards its prey, delicately as if not to damage the host. Once the parasite has subdued the host by releasing a chemical to disable it. The parasite then immediately sticks a tube down the host's throat and into its gullet. The tube is believed to give the host oxygen to keep it alive and at the same time, the embryo is released in to the host's chest. Once the embryo is planted successfully and it is coping on its own the Facehugger falls off the hosts face and dies, the Facehugger usually only travels five feet from the prey and dies within 15 minutes of falling off. Once the implanted embryo completes its symbiotic gestation period within the host, it escapes through the host by bursting through his chest. At this stage, the snake-like Chestburster has a small cranium and tan colored skin. It sheds its skin as it matures, the exoskeleton becomes harder and darker, and its cranium elongates. The embryo is implanted in the chest cavity behind the sternum, we assume this is for the protection of the embryo from harsh blows to the host from the outside world. Unfortunately this position of where the Chestburster has been planted results in an excruciating death for the host because the Chestburster has to repeatedly punch the sternum until it has broken free. 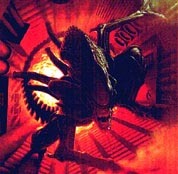 From the time the Facehugger falls off, the host has from 2 to 4 hours before the Chestburster kills the it and is born. A Queen embryo would take a much longer time to be born due to its more complex anatomy it would take approximately 8-14 hours before she is born. The Chestburster has small front limbs that are presumably useless and a very snake like body, it uses it tail to push itself along the ground until its limbs have grown properly. The Chestburster leaves scents in the host's body that adult Xenomorphs' can scent and therefore no harm comes to the host by the aliens until the Chestburster kills it by being born. The Chestburster rapidly grows in size, intelligence, and strength to become an adult alien. It is over two meters tall, has a long sleek cranium and a deadly secondary jaw that extends with great force and speed that the alien uses like a type of weapon. This stage of the Xenomorphs development is for some the final stage and the most hostile by far. The Xenomorphs have no eyes or ears, nor do they need any, inside that massive elongated cranium is, of course, the Xenomorphs brain. The Xenomorph is in no way shape or form dumb. It can strategically think and ambush its prey the same way it did aboard the 'Auriga' to Ripley and the Betty crew. They chased them underwater and there only way up to get air was sealed off with a hard substance that once broken through alerted the eggs surrounding the opening and all of the Facehugger's launched themselves at the unsuspecting people. Not only can they think and plan but also they sense heat, vibrations, sound and danger. 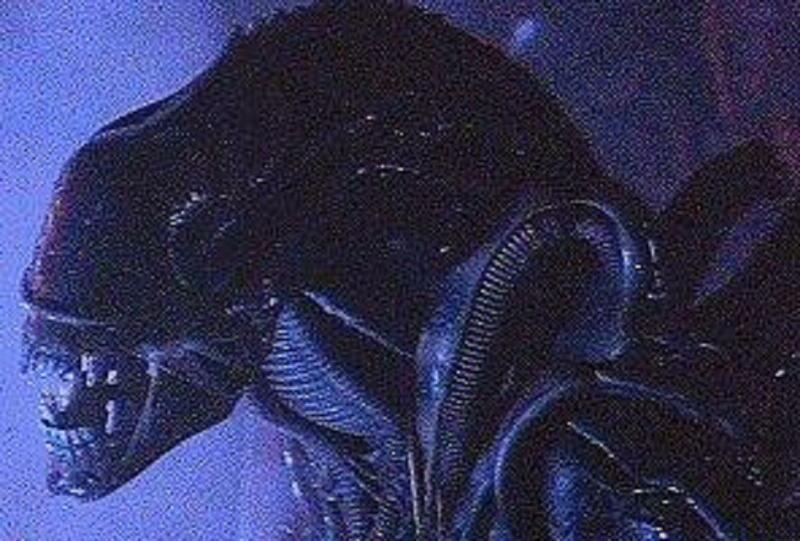 The most interesting feature of the Xenomorph would have to be the second mouth it possesses. Its secondary mouth is approximately 12 inches long. It uses its second mouth to attack rather than for defence. It launches its secondary mouth at its prey disabling or killing it, mostly killing it. It has been shown from a surveillance camera that 'Carter J. Burke' was shown the secondary mouth right before he was killed. 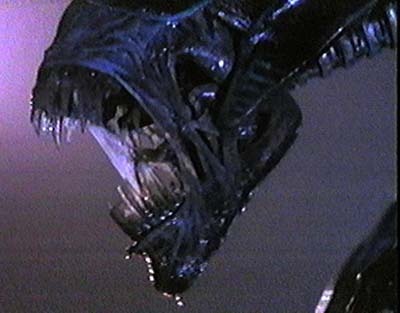 This also proves that the Xenomorph uses it secondary mouth as a warning of "You're about to die!" The Xenomorphs tail is in length about as tall as the alien. The tail is extremely powerful. The tail helps the Xenomorph to balance as well as it defends and attacks. It uses its tail to hang from the ceiling securely while it attacks or stalks its prey. It can also use it to spring and leap from different awkward positions in order to surprise prey. In defence, it whips its tail around itself giving itself a kind of protective shield against whatever might being irritating or even attacking it. Xenomorphs have an insect like life cycle, fairly similar to that of the digger wasp. The queen regulates the whole hive and it is possible that the hive cannot survive without her. The Queen Xenomorph is approximately 4 and a half metres tall. Its head looks much different in appearance to that of a warrior, but it really isn't. The Queen has a crown that she rests her head on in dormancy, but when active the head is lifted from the crown, but the crown is always there giving the appearance of a much different head. Still the head is much bigger and looks a little different from the warrior's heads. The Queen has a secondary mouth that looks exactly the same as the adults, except that it is much bigger and it is approximately 36 inches long. 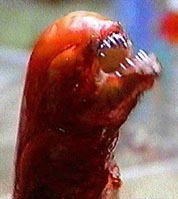 Once birthed as a Chestburster it takes the Queen 4-6 hours to be physically mature. The Queen does not need to mate it is born pregnant. From the time she is born it takes her 4-5 days to secrete resin to hold itself up suspended in mid-air and to start laying eggs. The Queen alien also creates other Queens of its kind after its hive is sufficient enough to sustain the Queen she starts laying eggs that contain Queen embryos to start another hive. Once the over hanging resin is complete and she starts laying eggs she becomes immobile, she does not need to move because her drones will do anything that she wants. Most of the relationships of the Xenomorph hive established and recognised are supposition. It is likely, though, that after a few weeks a new Queen would lead a contingent of drones away from the old hive and their first duty would be to spread to another area and begin construction anew. Early on all effort would be concentrated on finishing the hive so the Queen could begin laying eggs again. Rival creatures would be used to reinforce the hive and protect the Queen when she began breeding.